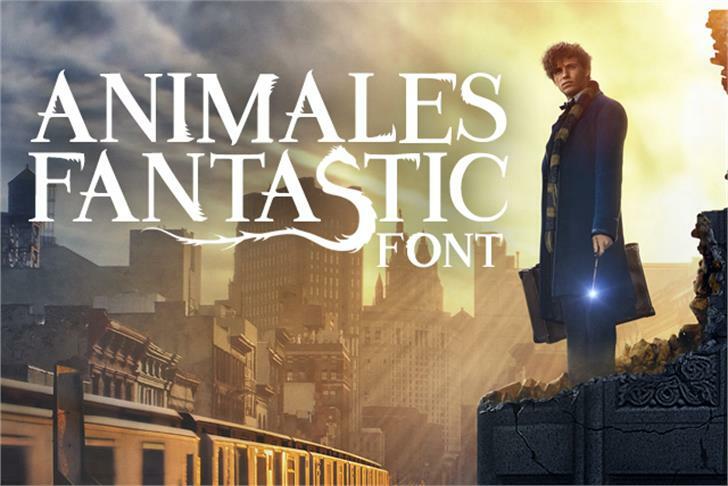 I am writing to ask your permission to use your wonderful Animales Fantastic font which features on FontSpace.com for a small independent magazine I am producing to celebrate the Fantastic Beasts and Where to Find Them movie release. I would really love to use your fantastic font and am happy to pay a fee for your permission. I'm a college student and I have to make a poster from the movie 'Fantastic Beasts and Where to Find Them'. This work will just be shared with my teacher and my colleagues and will not appear on the Internet. @sandrinaines1 Si por supuesto puedes usarla para hacer tu poster! muchas suerte! I love your font and am requesting your permission to use it for a small blog post I'm writing about little student run companies on campus. I'm not a business, I'm just writing about them. I wanted to title the article "IBC Companies and Where to Find Them" and use the font to make an opening image for the article. Thank you!